Ring Scanner Kit, 1D Laser, Cordless. Includes 1D laser ring scanner, back-of-hand Bluetooth radio module, battery, and two hand/wrist straps (1 large 1 small). Bluetooth 1D/2D Imager Barcode Ring Scanner Kit with Windows XP Wedge software. 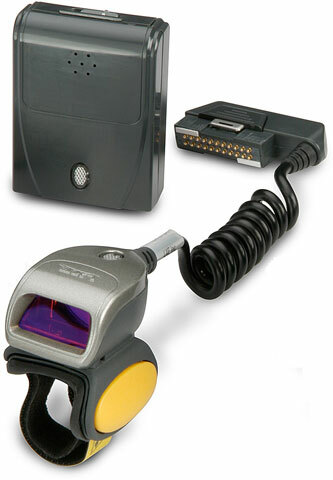 Kit includes 1D/2D imager ring scanner, back-of-hand Bluetooth radio module, battery, and two hand/wrist straps (1 large 1 small), and ItemSightXP-w Windows XP Wedge CD. Bluetooth Laser Barcode Ring Scanner Kit with Windows XP Wedge software. Kit includes 1D laser ring scanner, back-of-hand Bluetooth radio module, battery, and two hand/wrist straps (1 large 1 small), and ItemSightXP-w Windows XP Wedge CD.